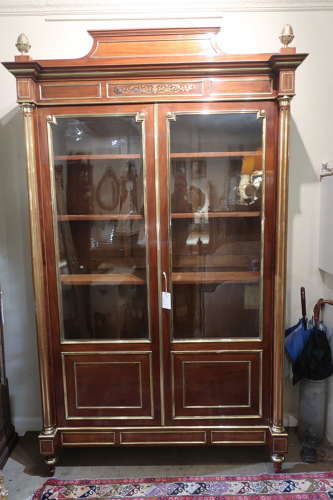 A large brass inlaid cabinet or bookcase in mahogany. Dating to the late 19th Century but in the Louis XVI taste. Superb quality and excellent condition,with adjustable oak shelves, can be disassembled if required for east transportation. A really good example , and always difficult to source.